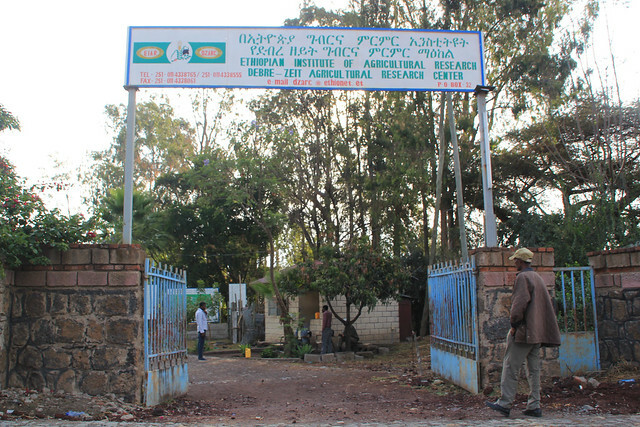 The African Chicken Genetic Gains (ACGG) project’s chicken hatching and brooding facilities in Ethiopia are located in the Debre Zeit Agricultural Research Centre of the Ethiopian Institute of Agricultural Research (EIAR) whose entrance is pictured above. Chicks from the selected breeds will be kept here in a controlled environment so that the team can analyse their performance. They will eventually leave this site, to be delivered to the selected farmers in regions where project is operating in in Ethiopia. Above you can see a ‘grade 1’ recently hatched Potchesfroom Koekoek breed chick. Grade 1 refers to chicks are hatched without defects. These are ‘grade 2’ chicks. 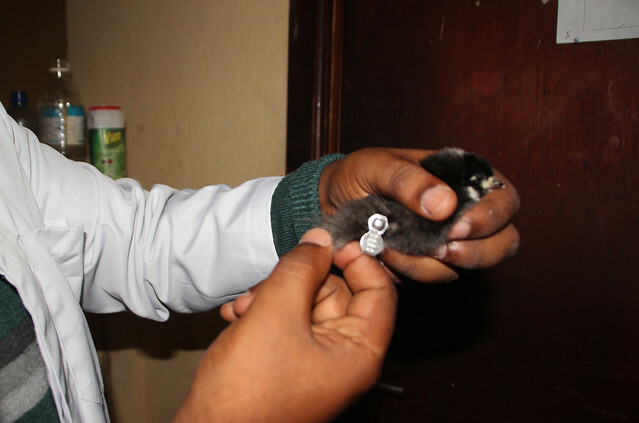 Grade 2 chicks are born with defects and are unable to be sold. 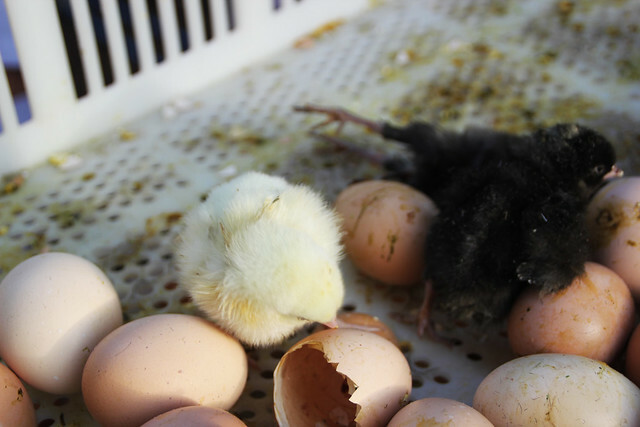 It is normal for 1-2% of the newly hatched chicks to be grade 2. 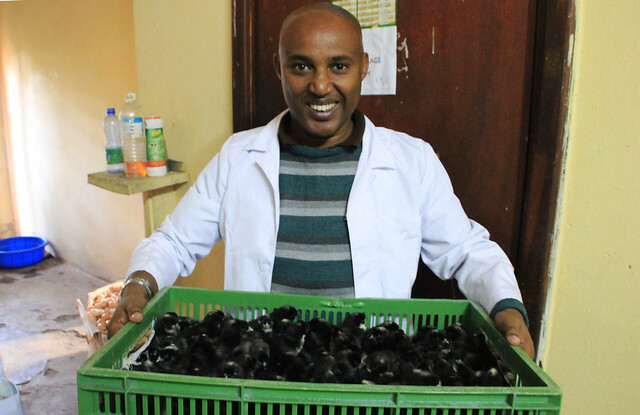 Staff at the Debre Zeit centre vaccinate all the hatched and healthy Potchesfroom Koekoek chicks. 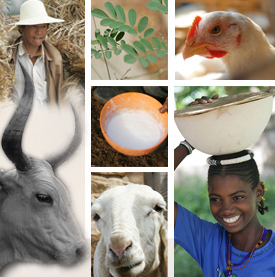 The vaccinations will protect them against Marek’s Disease – a herpes virus that can be contracted by chickens. The birds are tagged to keep track of their performance, including weight and number of eggs they lay. This allows researchers to collect data for each individual bird throughout its life. 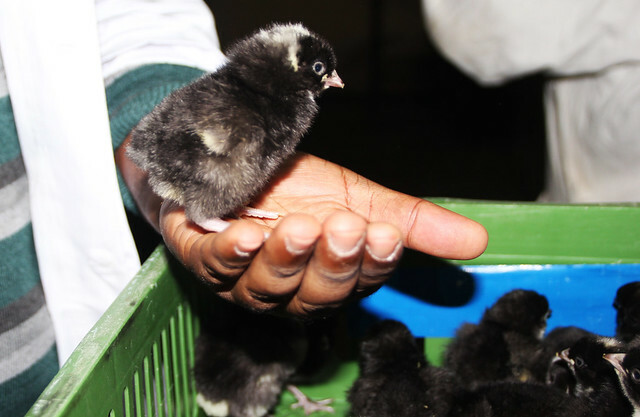 Each newly hatched Potchesfroom Koekoek chick is weighed before being sold. A healthy weight depends on the breed of the chick. 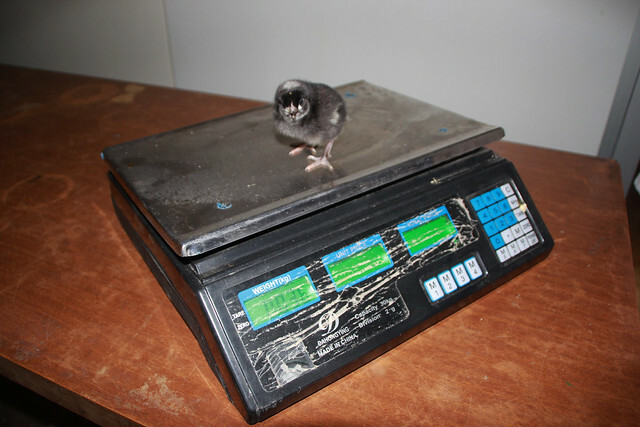 This Potchesfroom Koekoek chick weighed 0.36g, which is a healthy weight. The vaccinated chicks then go off to a new home! Tags: hatching, photo story. Bookmark the permalink. Already hatching of introduced strains started? That is great job and keep on hatching other strains too.